There are several amazing places to visit in Seychelles and I have tried to list down as many as I visited or I was aware of. That being said, there are many places apart from the below-mentioned places as well which you can only discover while exploring the islands. Here is a list of places and beaches to check out on the Mahe island. A collection of small beaches on the North East side of Mahe Island makes for the Nord Est Beach. This is where you would find the most locals hanging around and swimming in the ocean. There are a lot of trees here to provide shade in the sun as well and makes for a perfect beach to relax and unwind a little. One of my most favorite places to visit in Seychelles has to be the Sunset Beach on Mahe Island. A small beach, next to the Sunset Hotel, this is the best place to watch a sunset on Mahe. Surrounded by cliffs and palm trees, you can relax on the sunbed here and watch the sun go down in all its glory. One of the best places to visit in Seychelles, Port Launay is a quiet beach and is a part of the Launay Marine National Park. Since this is where the Constance Ephelia resort places, it sees fewer tourists and is perfect for a relaxed time. There is also a tire swing here on which you can sit for a while and enjoy the clear blue ocean around you. If you want to see the entire Victoria city lit up at night then La Misere Viewpoint is the perfect place. Come here at night and see the gorgeously lit up city. During the daytime, you get to watch the beautiful Eden Island from this point. On the way to Port Launay, there is a tea factory and a tea trail next to it which is another great place to visit. From here, you can enjoy the mountain views and learn more about the local plants which are found on Mahe Island. I can't even describe how much in love with the view I was when I reached the top of #morne on #mahe ! The #beachside of #Seychelles is seriously amazing! 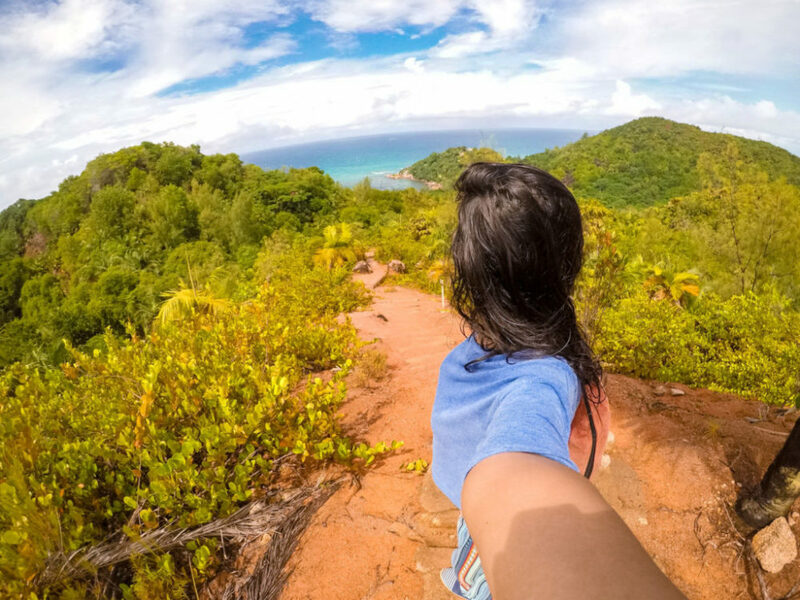 One of the best places to visit in Seychelles, Morne Blanc Viewpoint is a popular hiking trail on Mahe. The trail goes through a dense forest and offers a real jungle vibe but it is not dangerous at all. It takes about 45 minutes to reach the viewpoint and from there, you can see the entire west coast of Mahe island. 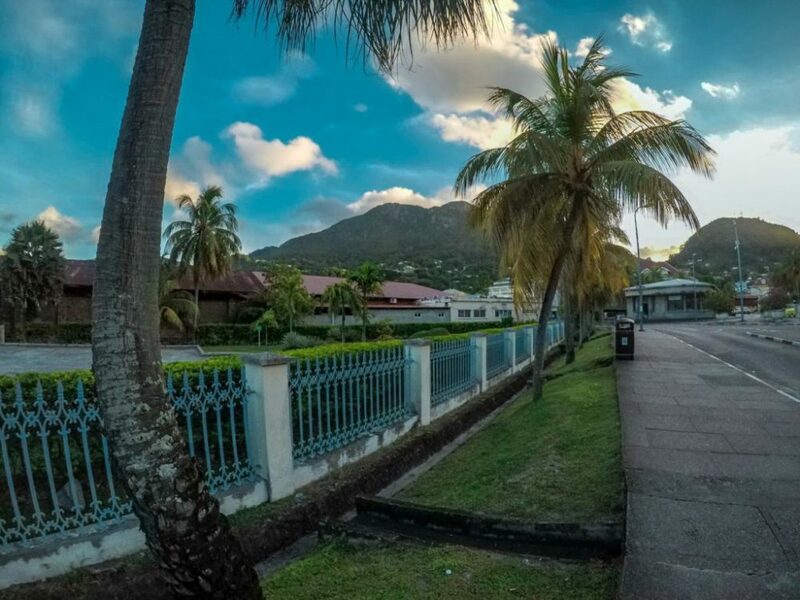 A popular heritage site on Mahe, Mission Lodge is the best places to visit in Seychelles for an awesome coast view. This place is currently in ruins now but holds an important role in the slave trade history of Seychelles. So, you can learn a lot here. But apart from that, you can also watch the national park and other viewpoints from the Mission Lodge. The local party places on Mahe, Galle Beach Face is where the local teenagers hang out in the evening. Here, you will find all the cars parked together with loud music blaring from there while locals mingle among each other. If you want to make some local friends then this is one of the top places to visit in Seychelles. 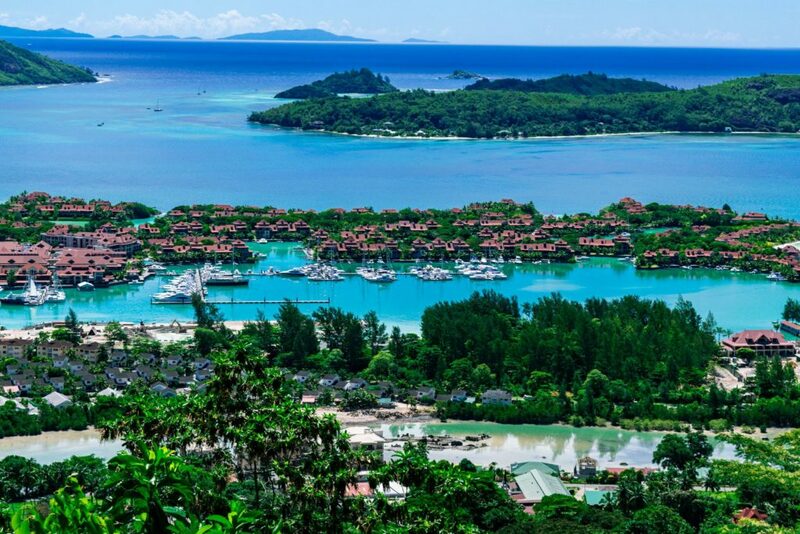 The capital city of Seychelles, Victoria is definitely one of the top places to visit in Seychelles. The entire town is small and charming and has a few attractions like the Clocktower, Market Place, Jetty, etc. to explore. You can walk from the Victoria Bus Stand and cover the entire area in a couple of hours to get more acquainted with this beautiful city. One of the most touristy places to visit in Seychelles, Beau Vallon is long and lined with many resorts and souvenir shops. This place is always crowded so if you are looking for a quiet time then this won’t be the place. But it is great for sunsets and has a few Scuba Diving centers for people who are interested. A popular beach on the Southeast coast of Mahe Island, Anse Forbans is perfect for enjoying a BBQ party. A lot of locals come here during the weekend to enjoy some quality family time. And since the water is relatively shallow and calm, it is perfect for playing and swimming as well. Cousin Island is the best island in Seychelles for nature lovers and is an internationally-owned reserve. Here, you will find almost-extinct birds like Seychelles Warbler and is currently home to many endemic plants and animals. This is also an important nesting site for hawksbill turtles so you can see their eggs lying around here. Since this is a protected island, it is only accessible during weekends and can be accessed via Praslin island. Also, you can also visit here using a guided tour so plan carefully if you wish to visit this island in Seychelles. One of the most gorgeous places to visit in Seychelles, St Pierre Island is just 2 miles away from Praslin. And it looks like a large granite rock surrounded by crystal clear water and coconut trees. This is an uninhabited island so you won’t find any cafes or restaurants here but it is perfect for snorkeling or scuba diving. Although not as gorgeous as the La Digue Island or versatile as the Mahe Island, Praslin Island has its own gorgeous beaches for you to explore. And here are a few top places to visit on this island. A secluded beach near the Grand Anse Village, Grand Anse beach is best for fishing. But it is not good for swimming as the waves are quite strong here. You will also find a lot of locals who make delicious local dishes here and allow you to taste them for a nominal cost. So, if you want to enjoy a local village feel then Grand Anse in Praslin is the perfect place to head to. One of the most famous beaches to visit in Seychelles, Anse Lazio can be reached via taxis or rentals. You won’t find a direct bus to this place and the last bus stop is around 1.5-2 km away from the beach. So, you will have to walk to the beach if you are traveling by buses. This is another great place to chill at and has beautiful scenery which makes it perfect for sunbathing and picnic. 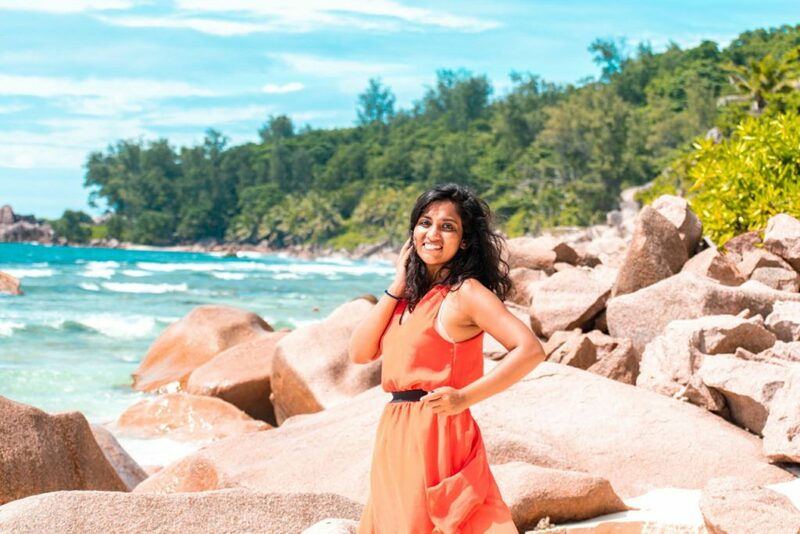 One of my most favorite places to visit in Seychelles, Anse Georgette is literally a dream come true. Surrounded by greenery and tall cliffs, this white sandy beach is definitely one of the top beaches in Seychelles. As the entry to this beach is through the Constance Lemuria hotel, it is quite well-maintained. However, you cannot hope to visit here without a prior appointment which needs to be made a day in advance. But trust me, the whole affair is worth it because when you relax on that pristine beach and play in the azure-colored water, it feels like you are in paradise. A UNESCO Heritage Site on Praslin Island, Vallee De Mai Reserve is home to the local flora and fauna and is a great place for exploration. You can easily spend 2-3 hours here and will also get a guided tour of the endemic plants and animals found here. However, it is slightly costly and the entry itself will cost you around 350 Seychellois Rupees. One of the best offbeat places to visit in Seychelles, Ford Ferdinand is the best alternative to Vallee De Mai. 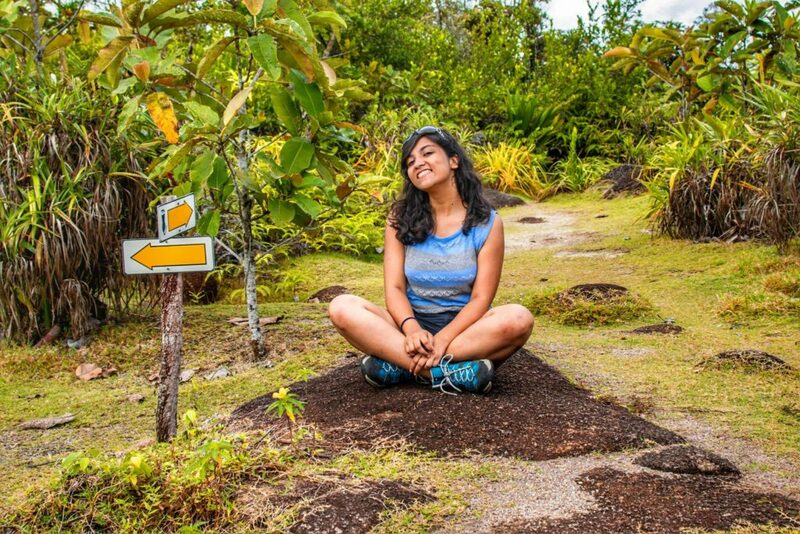 It costs just 125 Seychellois Rupees for entry and includes a detailed tour of the local flora and fauna. They will also give you a brief history of the place and the process of Coco De Mer. And they will take you to a high vantage point from where you get an absolutely gorgeous view of the island coast. A popular beach on the Praslin Island, Cote D’Or Beach is best for chilling and relaxing. And is also lined with several souvenir shops and scuba diving centers. You can enjoy a nice lunch on the beach or swim in clear blue water. From here, you can also some gorgeous islands in the distance and can take a boat tour to visit those places for snorkeling as well. A bio-reserve close to the Praslin Island, Curieuse Island is the home to endemic flora and fauna. Here, you will find the red black parrots, Aldabra tortoises, and so on. It is also known to house red and blue cliffs on the coast which make for a perfect BBQ spot. You can get a day boat tour to this island from Praslin for 45-50 Euros including BBQ lunch as well. One of the least-touched places to visit in Seychelles, Grande Soeur and Petite Soeur are sister islands. And most tourists come here for a day tour to enjoy pristine beaches and gorgeous scenery here. This place is also perfect for snorkeling and its interiors offer a jungle-like feel, making it your personal Jurassic island. Petite Soeur, on the other hand, is slightly difficult to reach due to the rocky coastline. But if you manage to reach here, then make sure to go on the walking trails here. La Digue is undoubtedly one of the best islands to visit in Seychelles and is known for its beauty all over the world. Here are a few top places to visit in Seychelles which you can find on La Digue island. One of the most beautiful beaches in Seychelles, Anse Severe can be reached after passing the local cemetery. And it has many trees on the beach which offer good shade during the daytime. This place is not as crowded as other beaches in La Digue but is still quite a popular spot to visit. You also have a few resorts just across the beach where most people live to enjoy the beach views. 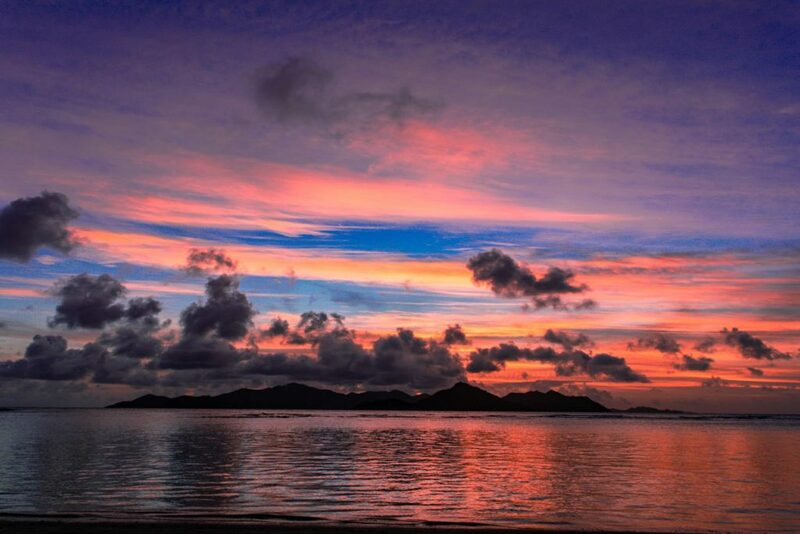 One of the top places to visit in Seychelles for watching sunsets, Anse Reunion beach is found on La Digue island. This beach starts from the left of the Jetty area and stretches till the L’Union Estate. So, you can easily find a spot to chill and watch an epic sunset here. Another popular beach on La Digue island, Grand Anse is known for its strong waves. With its pristine sandy beaches and beautiful scenery, it is a popular tourist spot. And you can find a lot of families sitting here, enjoying a nice picnic. Since the water is deep here, this is not one of the best places to visit in Seychelles for swimming. One of the most offbeat places to visit in Seychelles, Anse Cocos cannot be easily reached which is why not many people come here. However, that doesn’t mean you should skip this place. There is a hiking trail to reach this place from Grand Anse. And the trail goes through overgrown vegetation which can be slightly confusing. But once you reach this quiet and secluded beach, you feel the hike completely worth it. Petite Anse is another one of the offbeat places to visit in Seychelles where you can enjoy some peace and solitude. This beach is just next to the Grand Anse beach but requires a short 10 minutes hike. If you hike further then you reach the Anse Cocos beach. Petite Anse is another beautiful location on La Digue island which you cannot miss on. Separated from the Grand Anse by a huge cliff, this place is perfect for nature lovers. This is yet another one of the best places to visit in Seychelles for people interested in the local for local flora and fauna. Although this is not as gigantic as the Vallee De Mai or Fond Ferdinand in Praslin, Veuve Reserve is the best place to watch Flycatcher birds in their natural vicinity. You can come for a walk here early morning and spend a couple of hours here, all free of cost. The last beach on the La Digue road after which you have to hike Anse Cocos beach, Anse Fourmis is the perfect place to chill and relax. This place is farther away from the main area so you won’t find a lot of locals or tourists here. But most importantly, this beach is known for its bent palm tree which has been a backdrop for several Instagram photographs. For people looking for an entire beach to themselves, Anse Fourmis is the best place to visit in Seychelles. While the jetty area in La Digue is pretty happening as you have several cafes and restaurants here, the actual fun starts around 500 m away from it. There is a small road which leads you to the ocean but no, it is not a beach. It is simply a barren land where most of the locals come in the evening to play and watch the gorgeous sky here. So, if you are looking for some peace and quiet then this is the best place to head to in La Digue. One of the most prominent places to visit in Seychelles, L’Union Estate is a natural heritage site. Here, you can explore the original plantation house, traditional mills, vanilla & coconut plantations, etc. and learn about the history of La Digue. At the entry, you have to pay a fee of 125 Seychellois Rupees for full-day access to this place. Apart from the plantations, you can also interact with the giant Aldabra tortoises here in the Tortoise farm. And this is where the world’s most famous beach, Anse Source D’Argent also exists. So, don’t miss out on exploring the L’Union Estate Farm. One of the best beaches in Seychelles, Anse Source D’Argent is really popular on La Digue. Every day, thousands of tourists take a day trip to La Digue to relax on this beach or take gorgeous photographs of themselves. Due to the unique boulder structures found 0n this beach, it makes for a good photography spot. As a result, a lot of couples often marry on this beach or head to this place to celebrate their honeymoon. One of the best places in Seychelles for snorkeling, Ile Cocos Marine Park is located just 7 km away from the La Digue Island. There are many taxi boats and day trips which can be utilized to visit this pristine island and swim in the crystal clear water here. Here, you can observe a variety of underwater animals like whale sharks, puffer fish, parrot fish, reef sharks, and so on. Situated at a distance of just 6 km from Mahe Island, you can reach this island in just 30 minutes and spend a day here, exploring its secrets. Home to private graves and ancient tombs, there is a lot to explore and uncover on the Moyenne island. And the best part is that now that it has been turned into a National Park, you can also watch tortoises roaming freely on this island. Nice Post and great photos. The article is greatly written would love to know more specifically about the stay. And i’m planning to go for a week which are the top places i shouldn’t miss? 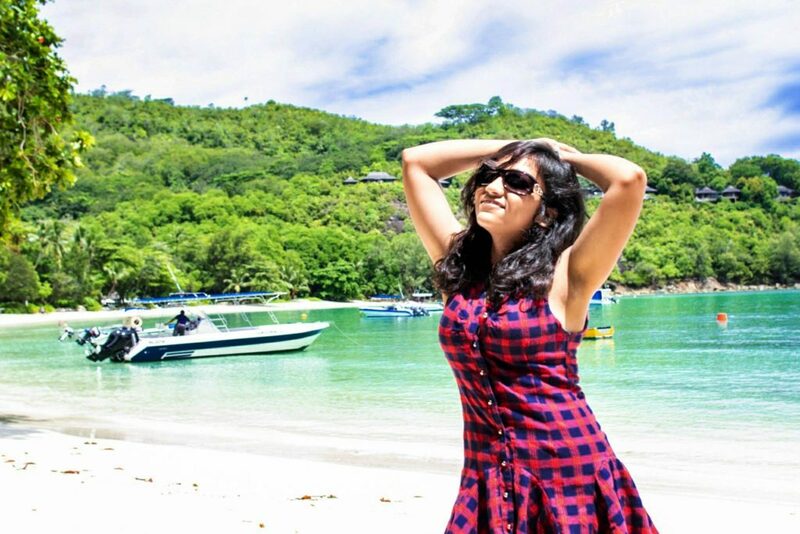 Thanks for finally talking about >34 Amazing Places to Visit in Seychelles – Nomllers <Liked it!